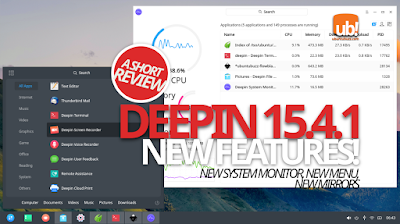 This review introduces briefly what's new on deepin 15.4.1. It got new UI features such as classic menu and 2D-3D mode switcher, new System Monitor with unique & nice interface, many new mirrors kindly provided by third-parties (big thanks to them! ), and so on. Also, I expect you to beware the CPU consumption of deepin-wm on 3D mode (at least until it's fixed by the developers). Finally, enjoy this review! The point release 15.4.1 got a new but classic stuff, a Windows-like menu on bottom-left corner. You can activate this menu from arrow button on top-right corner while activating the whole-screen menu (press Super button > click arrow on top-left). So starting from this release, we can help more people switching from Windows by this new DDE Menu. 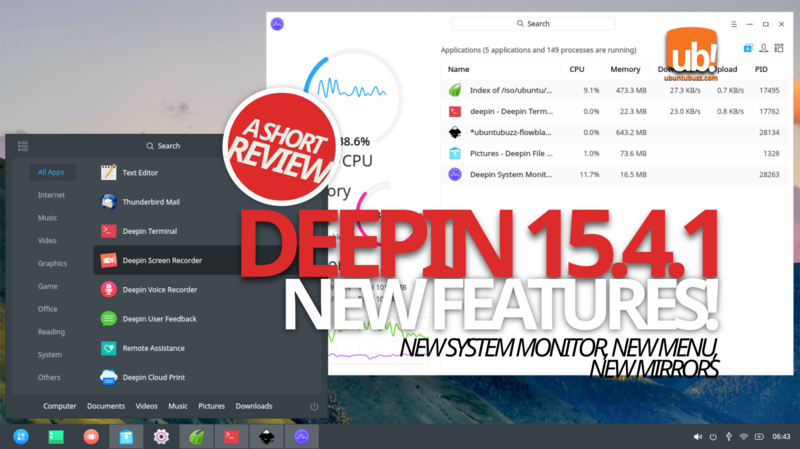 Personally for me, the most amazing changes on deepin today is the new Deepin System Monitor. Is has circular graphs for CPU and RAM, with process table on the same window, and also with white & black theme choices. It's licensed under GPLv3 at GitHub. It has download and upload columns so you can see what program consumes your bandwidth more; or how much speed you get while downloading. 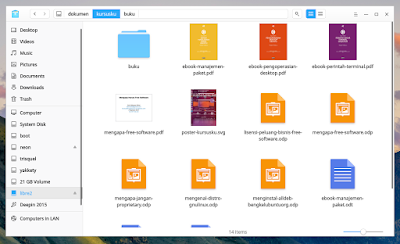 I did't find this on GNOME System Monitor or KDE KSysGuard. Personally, this is my favorite! 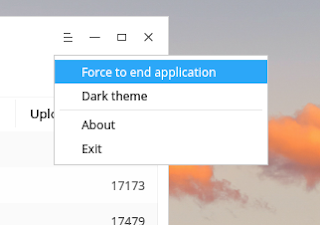 By accessing its menu > Force to end application > point your cursor at a window, you can click and the application will be closed. 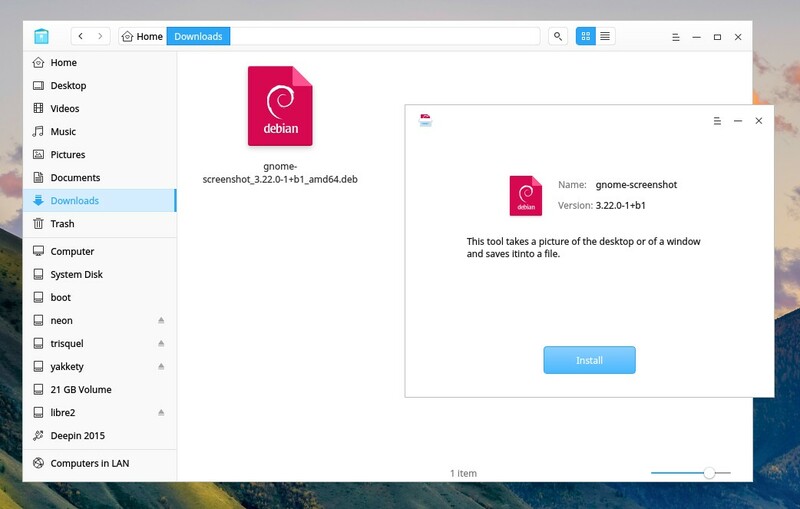 This is a good feature for desktop users we knew similar to xkill on GNU/Linux or Process Explorer on Windows. 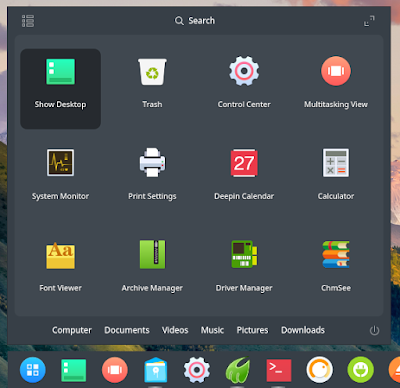 deepin got its own "GDebi" GUI now called Deepin Package Manager (DPM). 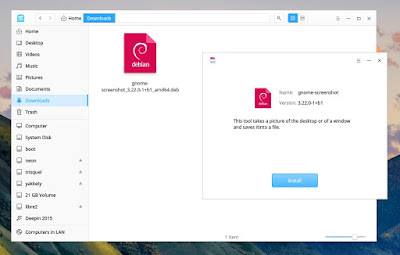 Using this DPM, user can 'one-click install' any single .deb package file, or bulk-install many of them, with automatic dependency download right from the official repo. 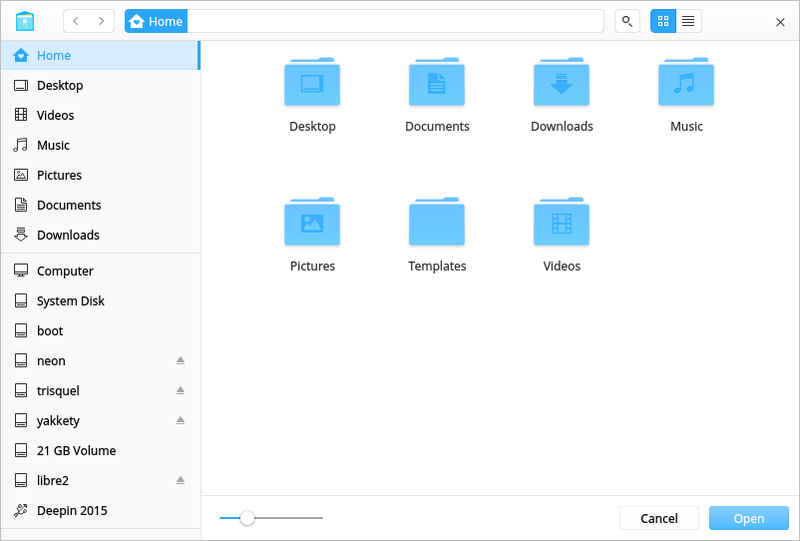 This new DPM feature is very useful while home users want to install some .deb packages they got from another sources without using Deepin Store. Since 10 July and 08 August 2017 deepin got many new mirrors (both ISO and Repo) notably from Kernel.org (United States), JAIST (Japan), AARNET (Australia), and others. For the users, this means you can use the nearest mirror available on sources.list so the download speed can be increased (e.g. if you live in Japan then use JAIST not AARNET). 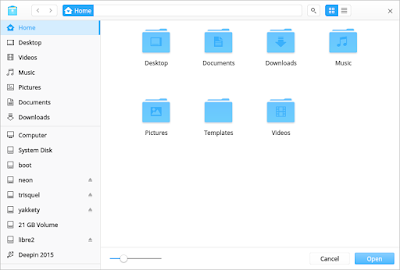 For the developers, this means more FLOSS communities interested and give support to deepin in providing mirror services (it means not the deepin team but third-parties providing a huge server & giant bandwidth). Thanks a ton to all mirror providers! 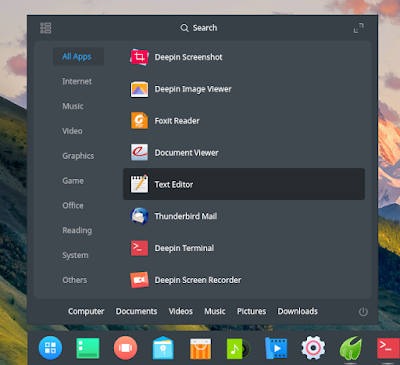 As DDE now has double-mode: with and without effects, deepin-metacity and deepin-wm , I noticed it immediately that the enabled desktop effects consume 100% of CPU constantly*. This happens on my two laptops (ASUS X44C Celeron 2GB and Acer AspireOne Intel 4GB). 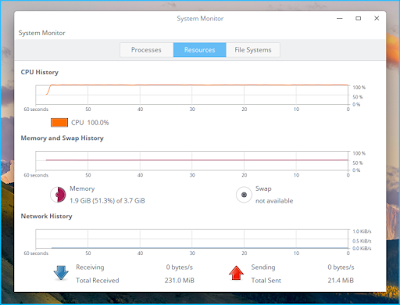 To be precise, the process that eats the CPU resource is deepin-wm. This gave me difficulties to take GIF animation or even just moving the cursor! 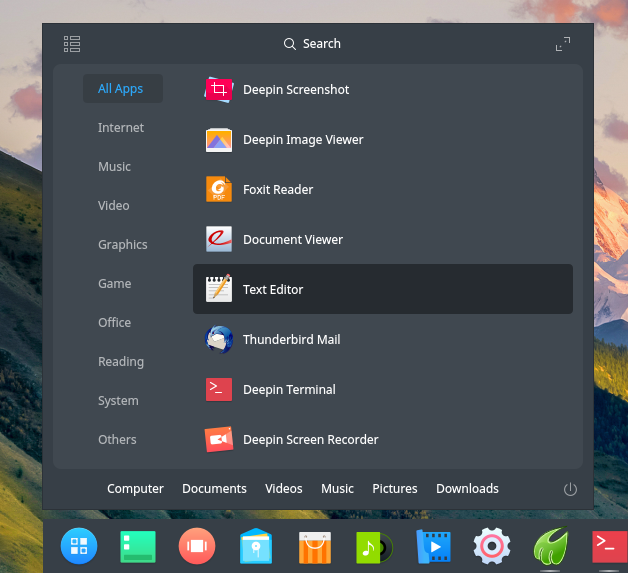 Because of this problem, kindly I warn you to avoid enabling desktop effects (avoid deepin-wm) or simply don't use deepin 15.4.1 at all (e.g. don't upgrade to it, stay on the previous version) if you don't have much time. However, we just need to wait the developers to fix this later. 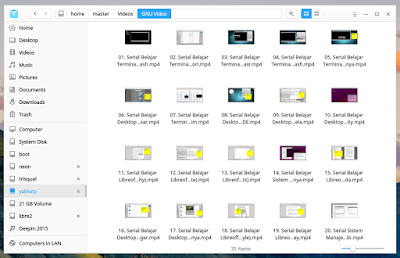 *) somebody noticed similar problem and they reported it to Deepin's GitHub.